As the Spring season begins – it’s hard to believe we are heading into our 5th growing season at the farm! One thing we have learned from the past four years is that a little chore work now in the early season pays big dividends later in the year! From early March to late April – and before the garden season hits full-bore – it’s time to get serious with getting everything else outside in full order. That includes clearing out flower beds, cutting back and dividing perennials, getting the compost pile cooking – along with a host of other sprucing up chores! If you let it – garden and landscape work can certainly seem to overwhelm – especially if it all gets ahead of you. But as we often say – a simple, small-scale, 15 minute-a-day approach is the key to keeping it all manageable. Mary and I are both big believers in trying to accomplish something every day at the farm, even if that something is just a little part of a much larger task. It keeps things manageable, keeps them moving, and keeps you focused. After all – if you are really honest with yourself – you can always squeeze in 15 minutes of your day to do something you love. First up each Spring is cleaning out the flower and landscape beds around the farm. A little maintenance now will go along way to keeping your perennials healthy and your landscape beautiful all season long. We use a reciprocating saw to cut the grasses off about 4″ to 6″ above the ground. We start by cutting back all of our ornamental grasses 4 to 6″ above the ground – and then removing the dead foliage from perennials such as our daylillies, liriope, sedum, coral bells, etc. We use a battery-powered reciprocating saw to make quick, clean and neat work of cutting the grasses. A 12″ demolition blade works wonders cutting through the heavy grass. We then rake all of the debris, leaves, etc. from the beds – and take it all to the compost bins to start the season’s new pile. One thing we won’t do yet is apply new mulch to our beds. 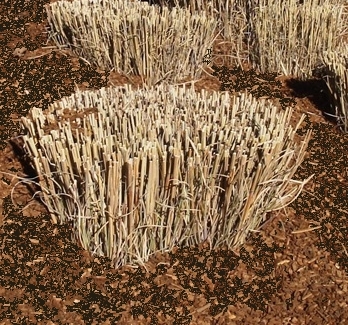 Mulch is a great insulator – and the soil needs a chance to warm up first before applying it. Mulching too early can keep soil damp and cool through the spring. We wait until late May to mulch beds to allow the soil and plant roots to heat up. 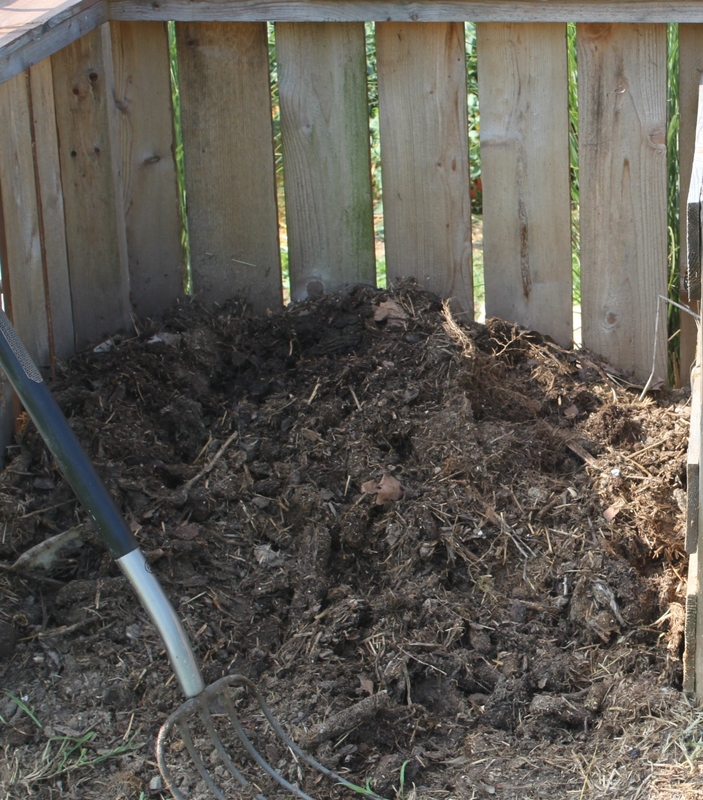 One of the most important chores each Spring is to get the compost piles in order. Compost is the key to our garden’s success – so getting our piles in order is extremely important. I say piles – because we have two separate ones each spring. One large pile saved from last year that is finished and ready to use for spring planting – and a second one that is started from the Spring clean out of the chicken coop, flower beds and kitchen scraps saved through the winter months. Last but not least – we set up our rain water collection tanks to start collecting water for all of our summer watering needs. The barn’s rain water tank – which fills quickly from the spring rains. It’s important for to us to conserve and re-use as many natural resources as possible – and our rain water collection system has supplied our entire farm’s water needs for 4 years running. 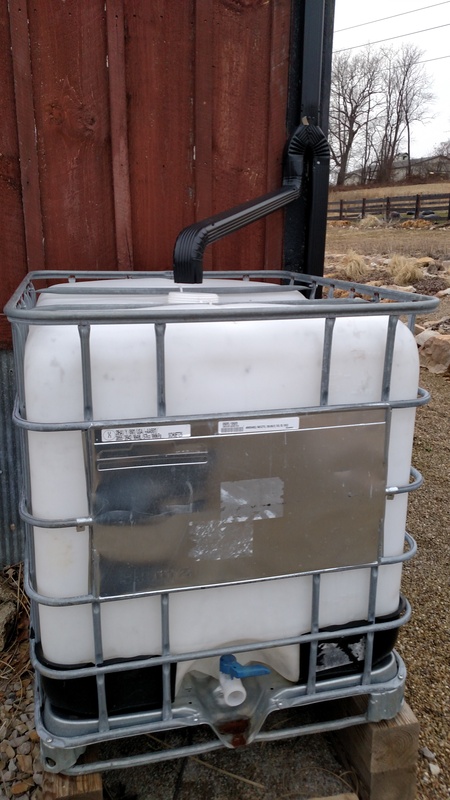 Each Spring, we start by pressure cleaning our plastic water tote tanks clean – and then set them up to be filled from the early season rains. This year as usual – it didn’t take long. In fact – in just 5 days after setting up – a few rain showers have the barn tank already filled to the 250 gallon mark. Getting all of these “non-garden” chores in order now really allows us to then turn our focus to the garden in May – and without the worry of the farm getting out of hand. It really is as simple as 15 minutes a day! 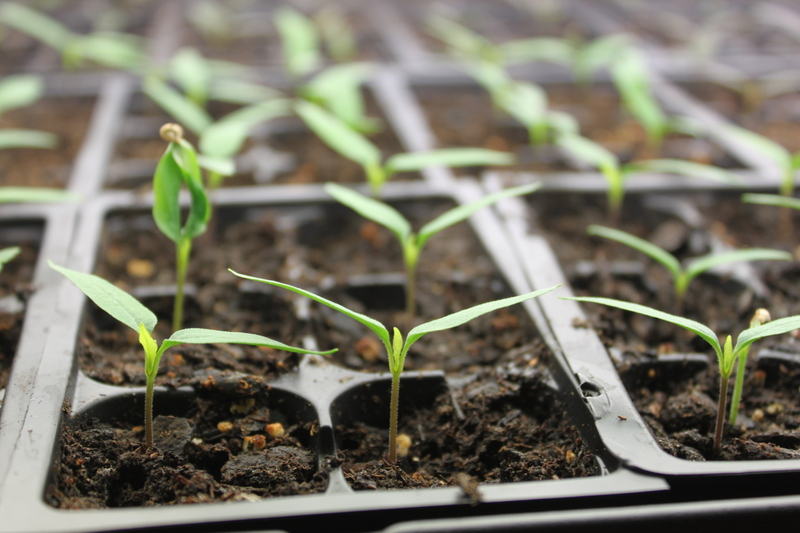 ← Planting Vegetables – 4 Big Tips To Success When Planting!